A stunning and richly jewelled set with earhoops, colar, bracelets and rings. 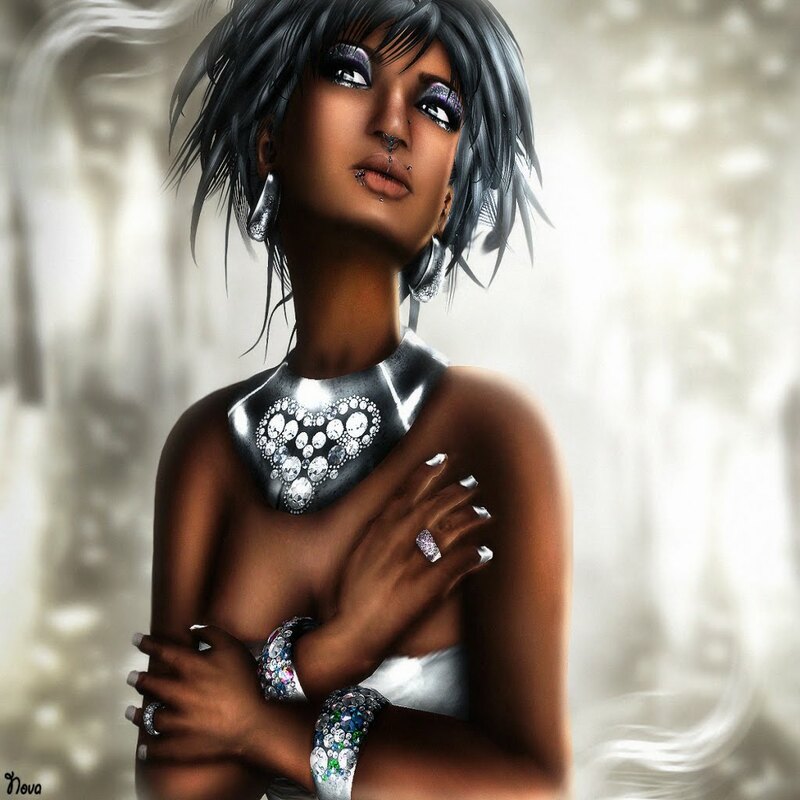 Isis is a tribute to the Egyptian goddess of magic and to the goddess within you. The finely worked metals can be set to light gold, gold, light silver, dark silver or bronze to match your style, while the diamonds come in a choice of ten texutures, with color change. The pieces have a resize option that can be removed with other scripts for lower lag if you desire.